1. 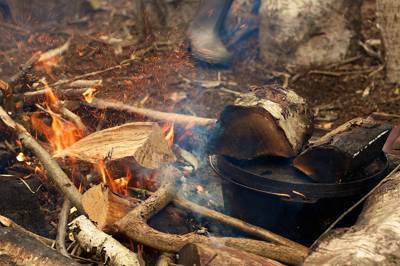 Find out if the campsite you are visiting allows campfires. Browse our collection of campfire-friendly campsites for recommendations of where to go. 2. Find out the campsite's campfire policy: Can you bring your own firepit? Do you need a firepit? or do you have to hire firepits from them? 3. Find out if the campsite has a supply of good dry wood, and if they have wood on site, do you have to use theirs or can you bring your own? 4. Find out if the campsite has kindling, firelighters and matches on sale or should you take your own? Don't forget to bring some old newspaper too. 5. Some campsites might provide wood but, to ensure you have the driest and easiest to light, you may like to take your own kiln dried logs instead or find a retailer that sells them nearby. If you plan to bring your own logs to a campsite, make sure this is allowed first. 6. Ensure you have sufficient fuel for the whole duration of your camping trip. 7. If you intend to cook over the fire, take some form of grill and stand to put over the fire. Only brings pots and pans you are happy to use in the great outdoors. 8. Take barbecue utensils for easy handling of your food. 9. Don’t forget to take the marshmallows and some long sticks. Roasted marshmallows are a must! 10. Pack the tent, some warm clothes and basic food requirements and it’s time to jump in the car and get cracking – Happy camping!